The world’s number ONE, multi award winning Lady Gaga tribute, Impersonator & Look-alike. There is no other Lady Gaga tribute impersonator as accurate, as breath taking and as talked about as multi-Award Winning Donna Marie’s Lady Gaga tribute. 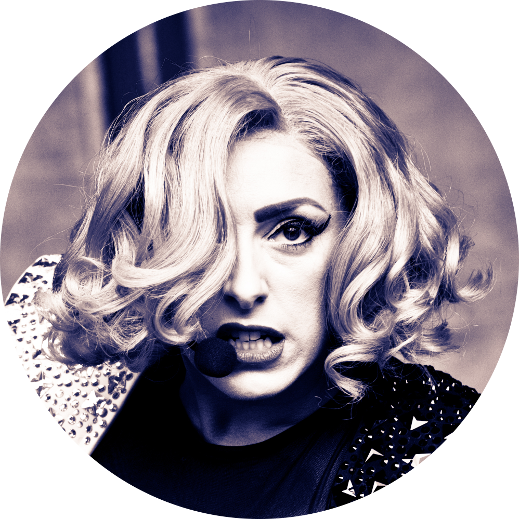 Donna Marie is the Lady Gaga tribute and impersonator that raises the benchmark for all other tribute and impersonators. Her show is a visually stunning and dramatic theatrical performance that recreates all of the drama, glitz and glamour of Lady Gaga’s most memorable performances. Her show can be tailored to suit any type of event, big or small. Donna Marie as Lady Gaga is internationally acclaimed as the “Best Lady Gaga Tribute on the planet”! Even the real Lady Gaga agrees…..
Click Here To See If Can You Tell The Difference? Guess who is a Judge & one of THE 100 on BBC One’s brand new entertainment show All together now. All Together Now is a brand-new entertainment show for BBC One, hosted by comedian Rob Beckett. It’s a singing competition with a twist. Each episode, a range of talented singers take to the stage, but waiting to judge each performance is ‘The 100’ – a unique panel of one hundred music experts and performers from across the UK, headed up by former Spice Girl Geri Horner. Donna Marie has won multiple awards for her Lady Gaga Tribute & Impersonator Show. She is recognised as the most authentic Lady Gaga Lookalike on the Planet. Not only does she look like Lady Gaga but she also has the most outstanding sound alike vocals, singing 100% LIVE every performance. Donna Marie’s sell out Theatre show takes it to another level replicating some of Lady Gaga’s most dramatic and recognised performances such as the jaw dropping Paparazzi at the 2009 VMA’s or the Much Music awards performance (2009) with the phenomenal ‘SPARK BRA’, Yes, Donna Marie has one just like Lady Gaga’s.